Laugh, Giggle, Chuckle and Smile! Welcome to a happy Summer season of long-wearing, feel good BIG5FREE* nail color by Zoya featuring two new collections destined to bring out your inner Glee! 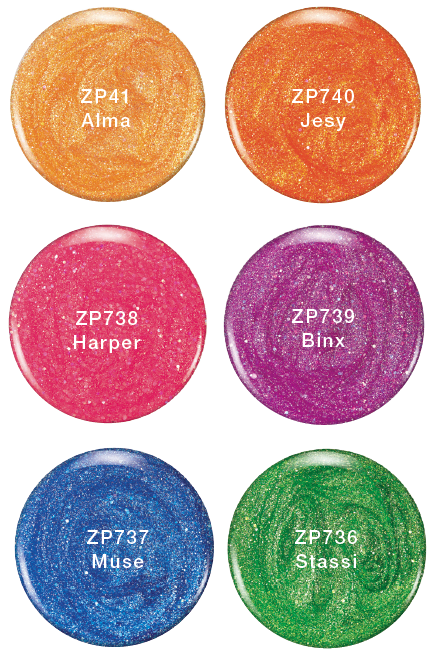 Six dazzling hues loaded with shimmering holographic glitter particles. This is color made to dance in the light and deliver great color well into the night! Buildable formula - great for layering. Muse: Mermaid Blue Metallic, Holographic Glitter. Stassi: Jade Green Metallic, Holographic Glitter. Harper: Mexican Pink Metallic, Holographic Glitter. Binx: Purple Orchid Metallic, Holographic Glitter. Jesy: Coral Orange Metallic, Holographic Glitter. Alma: Golden Peach Metallic, Holographic Glitter. No wall-flowers here... Six pigment packed, full coverage creams shades to glide onto your nails. Be ready to stand out in the crowd - the eyes of the world will swoon over these beauties. 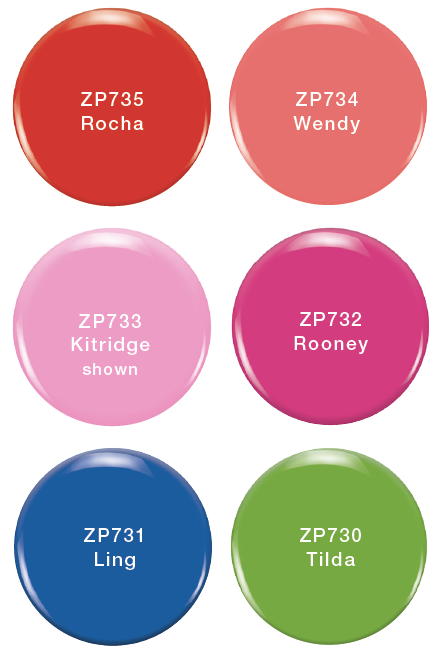 Finally some news from Zoya that makes me want to buy a couple of bottles! I agree, these ones have me excited!